One of the main focuses in next week IDF (Intel Developer Forum) could be the actual USB 3.0 demonstration that most of us are awaiting for. While there are various demonstration scenarios being worked on, Point Grey has disclosed some initial plan to showcase its latest USB 3.0 streaming technology with HD Video camera module connected to PC platform. In order to demonstrate the capability of USB 3.0 protocol, the system setup connects a Sony brand 3-megapixel CMOS camera sensor module through a USB 3.0 compliant PCI-based card using Fresno Logic controller chip. On the other end, the card will be plugged onto an Asus motherboard powered by Intel i5 processor that will be used to process uncompressed 1080p media clips at extremely fast 60 FPS (Frame per second) rate. By having this setup, it allows a much more powerful compression with flexibility by offloading the processing to motherboard instead of relying on tiny camera module like conventional way. And that is how it is able to demonstrate the extremely high bandwidth of USB 3.0 protocol at 5Gbps, which eventually boost up overall system performance especially on CPU intensive applications such facial recognition and etc. The showcase will be ready in IDF scheduled on September 22-24th in San Franscisco. 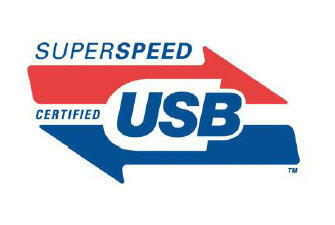 Despite of all these great improvement, the new standard will be backward compatible with existing USB 2.0 devices so that they are reusable in next generation platform.